Here is the dialog from the climax (“Your Name gives me Dominion away you Demon, and I do Know your Name”, are you chuckling, Oh! No no no!!!). I really want to feel the excitement, passion, and fragrance of being at Dreamforce, so the best way to feel it virtually is by collecting the experiences and thoughts from the Community itself. Here I have listed some of the more well-known figures from Salesforce Community, let’s see what they feel about Dreamforce. Dreamforce is an experience of a lifetime, everyone should at least go once, and I am sure they would never miss it next year. This event is huge beyond imagination, and I wonder how well Salesforce manages to execute the same every year. This event has plenty of opportunities for everyone, i.e. customers, partners, admins, and developers. You can surely take back a lot of learning and inspiration back from the event. What I like most about Dreamforce is knowledge which is flowing at a rapid pace all around, and networking with best minds in the industry, you will never find so many talented individuals at the same place anywhere else. See you at DF16! Dreamforce 16 will be my fourth Dreamforce and I already know it will be the best yet. I have made so many connections to those in the community since DF15. I look forward to not only learning new things as I do at every Dreamforce from Salesforce or my colleagues but also sharing my knowledge with others (did I mention, I am a first time presenter with three sessions?!) 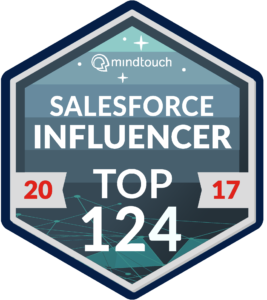 BUT most of all, I am really look forward to meeting those I’ve only interacted with virtually, whether it is via Twitter, through my blog, LinkedIn or the Success Community in the community or those who work at Salesforce in person. There is truly no other community like the Salesforce community. It’s a community of love and support. This is why #DF16 will truly be an EPIC Dreamforce for me. If you have a passion for Salesforce and you’ve never gone to Dreamforce, you need to do what you can to attend one. I highly recommend it! It probably will come as no surprise to anyone who really knows me that what excites me the most about Dreamforce is the people. The people I already know, the people on my “must meet” list, the people I “know” only because I follow them on Twitter and the Success Community, and even the people I do not know at all! I say it all the time in my “Kevin Bacon” blog series, but it bears repeating: For me, one of the greatest strengths of the Salesforce Ecosystem is its people and the connections that are shared. This year is no different. I’m excited to meet all the people. I’m also excited to hear what Marc Benioff will share during his keynote. If I don’t make it to any sessions, my Dreamforce will be complete, if connect with people, watch Marc’s Keynote, and the pre-keynote interviews conducted by Peter Coffee. The other aspect of Dreamforce that I’m really excited about is all the “Give Back” opportunities. Salesforce has really set the bar high this year with so many great opportunities for people to give back a little while at Dreamforce. (Red) is very inspiring – I hope they are able to help create an AIDS-free generation! In addition, Talk, Read, Sing is a great one…any opportunity to help children is a MUST, in my opinion. I’m super excited for Dreamforce this year! It’s always a great opportunity to connect with friends in the community I primarily know virtually. Also, a great place to learn something, get hands on with a new technology, and pick up some swag! It’s always pretty busy and I’m sure I’ll be exhausted by the end of it but it will definitely be worth it! Dreamforce: the best week of the year! I learn more during this week than I do in any other month! I’m very excited to go back to Dreamforce for a few reasons. 1. To see all of my salesforce friends in person. 2. To see all the new features SF is working on. 3. Get a look at the roadmap for the various clouds! How do I feel about Dreamforce? I don’t believe there is enough time or words to eloquently sum up how I feel about Dreamforce other than I HEART IT! It’s like the Nerd version of Disneyland! I love the fact that everywhere you go, there is an opportunity to LEARN! I also really love hearing the inspiring speakers and the awesome free concerts! My absolute FAVORITE part of Dreamforce though has to be the COMMUNITY! I get to hang out and mingle with other people who love Salesforce as much as I do! I’m so excited that I get to hang out with my Austin WIT group while meeting WIT members from throughout the country and the world all in one spot! I’m also VERY excited that I will get to meet so many of my #SalesforceSaturday peeps this year here at Dreamforce too! I’m a fan of so many of them on Twitter, it’s going to be so wonderful to finally meet them in person! Also, the freaking AMAZING people that work for Salesforce who go to such great lengths to make sure we have an amazing experience in San Francisco! To sum it up, it’s the awesome people that make Dreamforce so awe inspiring for me! My expectation of my second Dreamforce is that it will surpass last year because I am more involved in the community. I am helping out my dear friend, Melinda Smith, with the 2nd Annual WIT Photo Hunt, sponsored by Apttus. Please check it out on Twitter, and play along to win some fantastic prizes! There is a version for both Dreamforce attendees, and those at home. Secondly, you will get to see me, along with Salesforce Developer Evangelist Mary Scotton and newly minted MVP Shonnah Hughes up on stage, hosting a brand-new Dreamforce event- #AwesomeAdmin Lip Sync Battle! My first Dreamforce was a truly magical experience one I will never forget. The learning, the people, the connections and the city of San Francisco all made an indelible impression on my heart. Will this year top it? It will be tough, but I look forward to seeing you all in San Francisco soon and doing our best to make Dreamforce 2016 the best yet! 1 – The chance to connect with people face to face. I still have so many people that I’ve only ever met virtually through the community, and last year I got a lot out of just being able to sit down with some of them and talk in person. Special Tip : If I could give one piece of advice it would be to just go up and say hi to someone you want to meet. Between the poor picture quality on the badges and people using different pictures for their community/twitter profiles, you can’t expect people to necessarily recognize you. So go introduce yourself.